Just because his CBS sitcom $#*! 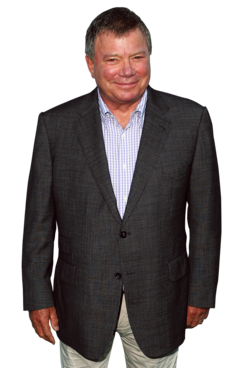 My Dad Says was canceled doesn’t mean William Shatner is slowing down. He recently traveled from London to New York and back to Los Angeles to interview the five other actors who’ve played Star Trek captains for his documentary, The Captains. 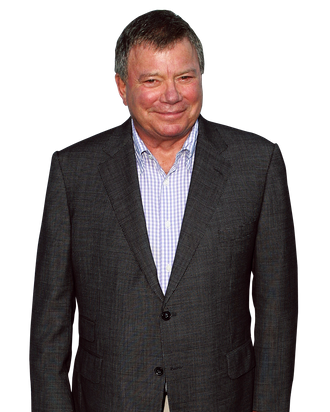 The film, which aired on the Epix channel last week and screened on the Intrepid this weekend, is just one of many projects the 80-year-old Shatner has going; he’s also planning to release a memoir and an album within the next year. Vulture talked with Shatner about his documentary, his fear of death, and whether $#*! got a fair shot. Probably idle speculation. I don’t know, it was just an idea that occurred, and it seemed like a good thought, it seemed like a commercial thought, so that I could find a way of getting it financed. How well did you know the other actors when you approached them? Not at all, hardly; just a respectful nod in their direction when I would see them. And even Patrick [Stewart], I’ve had dinner with him several times, and we’ve talked, and we’ve bonded, but I didn’t know him very well, and what I found is that I’ve now made five friends, because in that day or so that we spent together, we saw in each other a spirit that we identified … the devotion to being an actor, that at all costs. You know, other than Chris Pine, everybody became an actor as a youngster at great sacrifice, to a lot of criticism from their family and friends. In general, the movie seems to find you in a reflective mood, and before you were about to turn 80, you said you were appalled by it. Has that feeling stuck with you? Oh yeah, sure. I wrote a song in which one of the lines is, “I feel the fluttering wings of death.” And it’s true. I feel them. And so I’m anxious to fulfill a lot of stuff before I’m incapable of it. Is that why when $#*! My Dad Says got canceled, you just plowed forward? They shouldn’t have canceled $#*! My Dad Says; it was too popular. And we were getting it right. I don’t know what happened in CBS’s mind. I’m told that it’s in the top ten in Canada, and here it was in the top twenty most of the time; it was in the top 25 all the time. So I don’t understand that. But having stopped, and then that drain on my time stopped, I wanted to get some things done before the drain started again. And so when it was canceled, I had anticipated having more time to do things. So I’ve set up a one-man-show tour in Canada, and if it’s good enough I’ll bring it to the United States; that’ll take place in the fall. And I knew this film was going to be good and we tried to edit it and sand it down as best we could, it being a documentary and having rough sound and rough picture at times. Most people your age have either slowed down or stopped, and you’re going stronger than ever. No, most of them are slobbering and unable to pick the food off their shirt. I just slobber. More about $#*! My Dad Says: Did you come from that experience appreciating more the way a comedy develops? Absolutely. First of all, the uniqueness for me, of the four-camera show and the audience-participation show — it was uniquely its own thing. It’s unlike anything else in show business, a four-camera show. It’s part theater, part movie, part television, part inspirational, part improvisational, part premeditated. It’s a conglomeration of things that makes it uniquely its own. And I didn’t know that until I was in front of an audience. 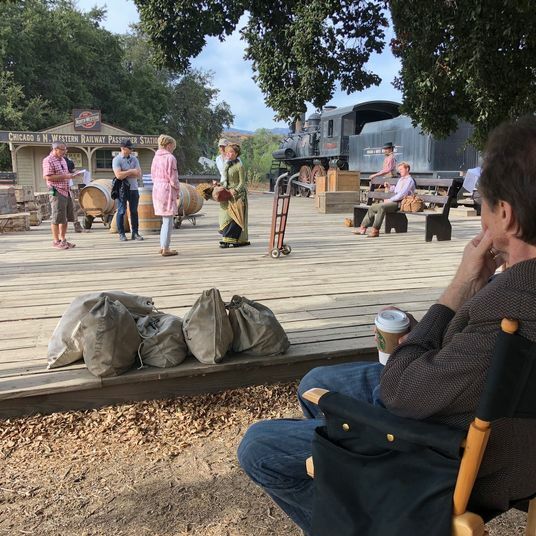 And then it took me a couple of shows to get into the flow, and then I realized I needed to incorporate the audience into the rehearsal, because we were … you don’t want to make a mistake. Every [actor’s] training, certainly mine, is you don’t show the bare bones to the audience; you make a mistake you carry on. Well here, you barely know the lines because they’ve just been handed to you before you go on. So I began to incorporate the audience, saying, “Hey, we need you in this show, you’ve got to teach us what’s funny, what’s not funny, you’re going to see us make mistakes, I want you to laugh at us, because we’re laughing at ourselves, too, because we barely know what’s going on ourselves, but you’ll teach us as we’ll teach you.” And I incorporated them into the show, and it became a happening, with music and dancing and the audience became an active participant in the making of this show. It became a joyful experience. We’d rewrite lines and try lines out. Imagine having the ability to have 400 people, 400 judges, saying, “Yeah, that’s funny; no, that’s not funny.” You watch the comedy develop, absolutely. So you would do this type of show again? Well, I went into the series with tremendous trepidation, and I would look at it that same way now, even more so. I can create the things I am creating without having that onus on me.